The state of Colorado says – famously – that cannabis, or marijuana, is a crop that legally can be grown. The federal government’s rules take a dimmer view. Does that have an effect on water rights? And this arose in a case that doesn’t even involve marijuana. The instance concerned a western Colorado farmer growing hemp, which through biologically related to the cannabis plants, has no significant psychotropic qualities. One online description noted that “Hemp is one of the oldest domesticated crops known to man. It has been used for paper, textiles, and cordage for thousands of years. In fact, the Columbia History of the World states that the oldest relic of human industry is a scrap of hemp fabric dating back to approximately 8,000 BC.” It is often called industrial hemp. Versions of it were grown by George Washington, among others. Hemp actually does not need pesticides and relatively little water. It should be an attractive option for farmers, but growing it is widely banned in the United States because it is related to the cannabis plants. Nevertheless, there’s a federal ban on it. And in Colorado when a farmer wanted his standard water allotment from the Pueblo Reservoir to grow some hemp, the Bureau of Reclamation refused to release the water. The water is supposed to be held in storage for users, not parceled out at the bureau’s discretion … but then, this is a marijuana relative. That appears to override all else. The point likely will be even more directly pertinent as marijuana crop production grows, and obviously not only in Colorado but especially in states like California, where farmers of most stripes are heavily dependent on irrigation water supplies. There are conflicting notions here. One is that a farmer’s choice of what crops to grow isn’t much of a factor, or isn’t supposed to be, in the provision of first-in-time water rights. Then there’s also the point that in prior appropriation states (where this is coming up), water is supposed to be used for a “beneficial purpose” – and who gets to do the defining along that front? 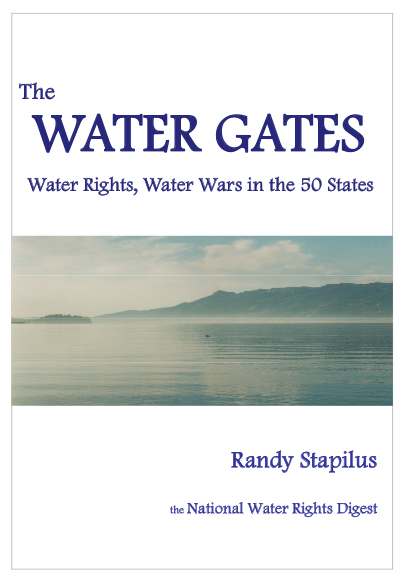 Legislation is rolling along in Colorado (with a recent scheduling hiccup, but more efforts will be coming), and you can imagine a significant states rights vs. federal debate here, especially since in many areas the federal government has ceded basic control over water to the states. This battle is only getting started. Sophisticated mapping has become an increasingly important tool in the box of water regulators and planners. The U.S. Geological Survery is now taking some of that to a new level. On April 6 the agency released a report showing very specific impacts of groundwater use, on a highly detailed map. 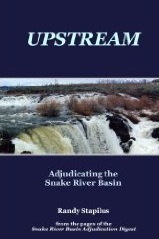 The sample map showed the reduction in flow in the Malad River in southern Idaho based on certain levels of groundwater use. The map is a simulation, but it is specific enough to provide guidance for all kinds of water-interested people. 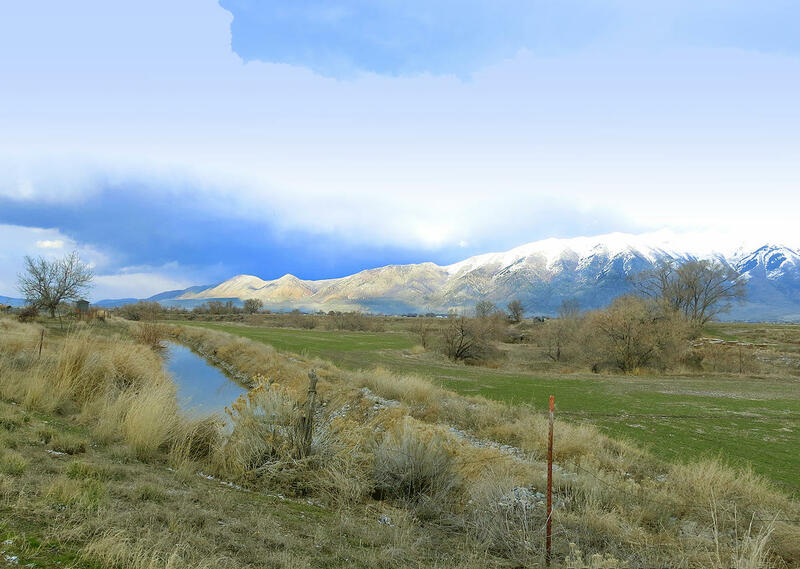 The Bear and Malad Rivers provide water for irrigation and to wetlands and wildlife habitat in the southern part of the study area, including the Bear River Migratory Bird Refuge north of Great Salt Lake. Although withdrawal from wells is a small percentage of the water used in the area, there is concern that additional ground­water development could reduce the amount of streamflow in the Malad-Lower Bear River Area. 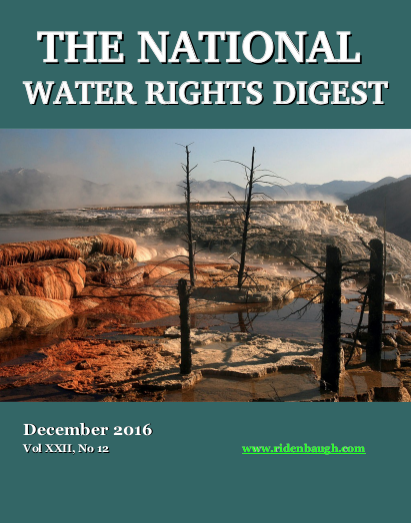 “The information from this study will be used to aid the state engineer in making water-rights related decisions in the future,” said James Greer, assistant state engineer for the Utah Department of Natural Resources, Division of Water Rights. Recent studies have shown that groundwater and surface water should be considered a joint resource. 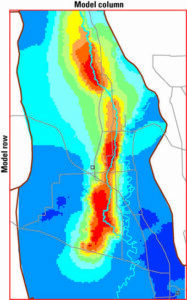 USGS scientists developed a groundwater flow model to better understand the relation between additional groundwater development and the reduction of groundwater flow into the Malad River. Results show that the amount of streamflow depletion in the Malad River depends on both depth and location of groundwater withdrawal. Scientists created color-coded maps that illustrate how depth and location of withdrawal could affect streamflow. Look to see much more of this. This may be a step too far for a number of people. In New Zealand, the Whanganui River (alternatively called the Te Awa Tupua) has been given by a court the right – if that’s the correct word – to have its ecosystem health represented by legal counsel. And, there’s the question of how legal guardianship is to be set up. A cleaner approach might be to say that the people of New Zealand (or whatever entity tries something along these lines) have a vested right in the river and its immediate environs, and that encroachments have to be factored against that. Keeping the rights on a human level might be the easiest way to deal with this over time. Initial inflections like this one can lead to unexpected outcomes. How much is de minimus? This seems like a common sense no-brainer. Rain falls around your house. You put out a pot collect some of it. Why on earth shouldn’t you be able to? There are catches all over this simple proposition, which is why a number of states even now are bumping into it. Last week, Nevada was one of them. Household collection of rain water is the subject of the current Nevada Assembly Bill 138. Thing is, water is considered to be a public resource – owned by all of us, not any one person. That’s why we have water rights, which is something like a license to drive: The right to use the road, not an ownership of it. If you collect water from rain when it falls around your house, you’re appropriating a public resource without permission. Well, at least technically. As a practical matter, as most people’s common sense would suggest, is a little looser. Capture a small amount and the state isn’t going to come after you. There’s a legal standard in water rights called de minimus use – as it sounds, minimal use of water. In many places, that means domestic users of water – even well owners – have no need of a special water use permit, because the amount of water involved is simply too small to try to regulate. Where the de minimus line is, however, varies from place to place. Different states have different rules, and some of the drier states actually are very stringent. “Rain barrel” collection of water is sometimes closely limited, or even banned altogether. Maybe it comes best from a state Supreme Court, rather than from Washington. Still won’t go over well. But maybe, there’ll be more acceptance and credibility in the call. 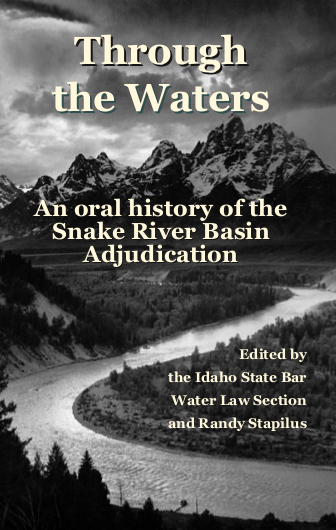 The case in question, for which a decision was released on March 10, is Greg Hill v. Nebraska Department of Natural Resources, and while the subject is water, the nature of the complaint involves more philosophical and ideological matters. Moreover, the use of water within Nebraska isn’t the only consideration when a compact is in place: The concerns of the other participating states matter as much. So the U.S. Supreme Court likely would find as well, because it has determined in the past that interstate compacts can be enforced, and because the place to get terms of a compact enforced is federal – the U.S. Supreme Court, or in action through Congress. The Nebraska decision runs with the flow of federal and state court decisions on compacts over a stretch of time. Because the decision came at the state level – and odds are that’s where it will rest – it may find a little greater acceptance locally. Or not. But if not, the followup clearly would be an exercise in frustration. There are two main reservoirs on the main stem of the southwestern Colorado River: Lake Mead, impounded by Hoover Dam near Las Vegas, and Lake Powell, impounded by Glen Canyon Dam in northern Arizona. The Fill Mead First plan would establish Lake Mead reservoir as the primary water storage facility of the main-stem Colorado River and would relegate Lake Powell reservoir to a secondary water storage facility to be used only when Lake Mead is full. The objectives of the FMF plan are to re-expose some of Glen Canyon’s sandstone walls that are now inundated, begin the process of re-creating a riverine ecosystem in Glen Canyon, restore a more natural stream-flow, temperature, and sediment-supply regime of the Colorado River in the Grand Canyon ecosystem, and reduce system-wide water losses caused by evaporation and movement of reservoir water into ground-water storage. The FMF plan would be implemented in three phases. Phase I would involve lowering Lake Powell to the minimum elevation at which hydroelectricity can still be produced (called minimum power pool elevation): 3490 ft asl (feet above sea level). At this elevation, the water surface area of Lake Powell is approximately 77 mi, which is 31% of the surface area when the reservoir is full. Phase II of the FMF plan would involve lowering Lake Powell to dead pool elevation (3370 ft asl), abandoning hydroelectricity generation, and re-leasing water only through the river outlets. It’s a dramatic plan, and could have some environmental benefits in the Glen Canyon area, but there are issues. A significant amount of the disagreement has to do with the amount of rock and soil damage the Glen Canyon project has done, and what the result would be if water is drained from the area. This is something that will take a lot of study before any action is taken. As any environmentalist should know, when it comes to action in the environment, you never do just one thing.